The airport serving the greater urban area of San Diego, California (United States) is an international air travel hub located less than five kilometres from the downtown which has been assigned the IATA code SAN. 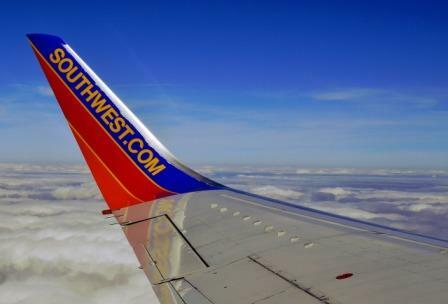 Mainly focused on domestic operations but also handling routes to and from overseas destinations, San Diego airport is known as the primary base of Southwest Airlines and Alaska Airlines in North American territory. Whether they fly from other airports in the USA or from cities across Europe and Asia, many passengers landing here are travelling for business purposes or to attend a trade show or event at the San Diego Convention Center. Due to the proximity of the terminal buildings to the downtown and the congress venue, we recommend you find a hotel close to San Diego airport when visiting California for work. If you are travelling to the city for the first time, you may wonder which terminal in San Diego airport you must go to when flying out. The answer is pretty simple: to catch a domestic flight, go to Terminal 1, and to board a plane towards a destination overseas, go to Terminal 2. The latter one accommodates the three airport lounges in San Diego International: the Airspace Lounge, the Delta SkyClub and the United Club, aside from a varied array of shopping and dining outlets and several art displays. Although other carriers operate flights to San Diego on a seasonal basis, the international airlines flying to SAN all year round by means of scheduled operations are Air Canada (Vancouver and Toronto Pearson), British Airways (London Heathrow), Japan Airlines (Tokyo Narita) and Lufthansa (Frankfurt). As for the domestic routes from and to San Diego airport, they are handled by United, Alaska Airlines, Allegiant Air, American Airlines, American Eagle, Delta, Frontier, Southwest, Spirt, Sun Country, JetBlue and Hawaiian. The Metropolitan Transit System Route 992 runs services between Santa Fe Depot railway station and the airport terminals from 5:00 to 23:30 every day of the week. Should you decide to take a taxi to your hotel in San Diego, follow the signage system leading to the Transportation Plazas after collecting your baggage. The terminal staff will be waiting there to assist you and get you an available authorised taxi cab as soon as possible. If you do not mind sharing the ride with other passengers for the sake of thrifty travel, know that there are various shared van companies operating in San Diego that pick up and drop off travellers in the Transportation Plaza at both terminals. In line with other US airports, San Diego has a separate rental car area near the terminals, and it can be reached by taking a free shuttle bus both to and from the main buildings. Travellers passing through can enjoy free WiFI internet access in San Diego airport from their mobile devices. After a quick registration process, they can get online for two hours; when that time period expires, all they need to do is log into the service with their ID and password again to use the service at no cost. During the wait before boarding your plane out of San Diego airport in California, there are plenty of shops, services and restaurants in the two terminals for you to relax before your flight. Below, you will find a selection of highlights sorted out by terminal and its precise location inside each building. Terminal 1, before security: books and gifts shop, press and snacks, electronic gadgets and devices (vending machines), beach apparel (The Beach House), Starbucks Coffee, hamburger special menus at Jack in the Box, Pacifica Breeze Café and the Ryan Bros. Coffee, which stays open around the clock. Terminal 1, after security: more vending machines with electronic gadgets near gate 11, Hudson News next to boarding gate 10, Ciao Gourmet Market near gate 1, Einstein Bros. Bagels near to gate 3, and the Bankers Hill Bar & Restaurant in San Diego airport next to gate 7. Terminal 2, before security: Apricot Lane (ladies fashion and accessories), Kid’s store (toys and fashion), M·A·C Cosmetics, Duty Free “Sky Free Shop” and Swarovsky. Terminal 2, after security: Be Relax airport Spa in San Diego in the boarding concourse, next to both gate 26 and gate 36; Souvenirs shop next to gate 46, Artisan Market near gate 23, California Pizza Kitchen and Panda Express (gate 26), Bubbles Seafood and Wine Bar, Elegant Desserts (gate 38) and Starbucks (gate 37).